Rio Salado College holds its annual commencement ceremony on Wednesday, May 3, 2017, at Comerica Theater in Phoenix. For commencement student speaker Gloria Mendoza, graduation is a dream that is finally coming true after an 18-year long wait. Then life happened, and at the age of 18, Mendoza found herself on a new life path. “I became a mother and a wife and dedicated myself to raising my family” Mendoza said. Then in 2014, facing challenges in the employment field, Mendoza decided it was time to make a change. “At the age of 32, with the support of my family, I started my journey back to school,” Mendoza said. 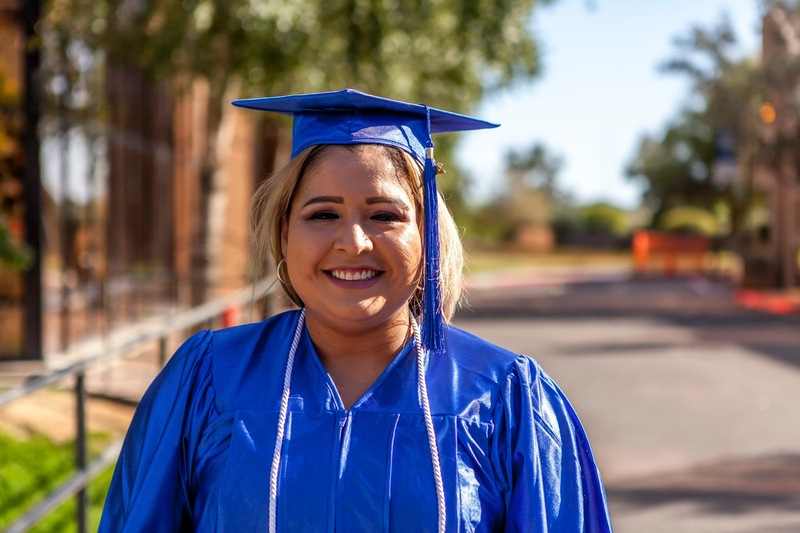 She earned her high school equivalency and enrolled at Rio Salado College to pursue a degree program. Mendoza sought full advantage while at Rio, she joined Rio’s chapters of the national Phi Theta Kappa (PTK) student honor society and the National Society of Leadership and Success (NSLS). 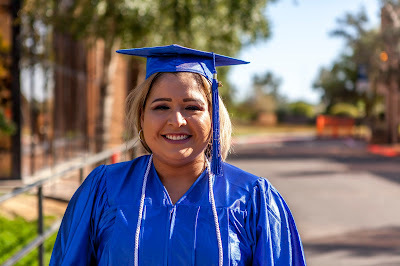 Mendoza is earning an Associate in Arts degree from Rio Salado, and plans to transfer to Arizona State University to pursue a psychology degree. She ultimately hopes to attend law school to become an attorney. Labels: AdvisementNews, Commencement, LifeAtRio, Lifelong Learning, LiveAtRio, RioAdvisors, RioGrad, RioLearn, RioLounge, RioNews, RioStudents, RioStudents.